While single-serve coffee makers have existed for a while, none of them were able to capture attention the way the Keurig Coffee Maker has. As the most popular coffee making machine on the planet right now, millions of Keurig coffee machines have already been sold. This company has knocked single serve coffee making right out of the park! 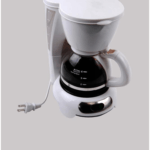 They produce convenient, effortless and relatively affordable single-serve coffee machines. There are a number of different Keurig brewers available on the market today. They are each designed to cater to a specific market. With our Keurig coffee makers reviews, you’ll know exactly which one best suits your needs. Take full advantage of all the inside information we are able to share with you below. What Makes Keurig Coffee Makers so Special in the First Place? There simply isn’t any other system out there that makes brewing a single serving of coffee as simple or as straightforward as these coffee makers do. Simply hit the power button, pop in your favorite K-Cup, select the amount of coffee that you would like to have brood, and then let this system to all of the heavy lifting for you. 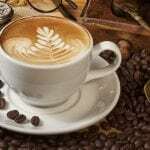 Another huge advantage is the ability to brew cup after cup of different kinds of coffee in rapid succession. Nothing beats being able to entertain while offering everyone the option to drink their favorite cup of coffee on demand. You’ll also be able to use a “blank slate” K-Cup provided from the folks at Keurig that let you use any of your favorite beans that you grind up on your own. 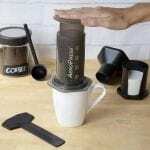 This opens up a world of versatility and allows you to literally brew any style of coffee you like, no matter what! As we highlighted above, there are a number of different Keurig coffee makers available on the market right now. 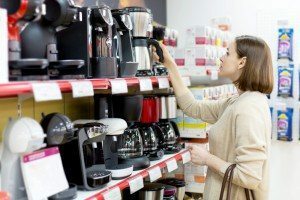 While not all of them are going to be perfectly suited to your specific needs there’s definitely a Keurig coffee pot out there that is perfect for you! You’ll need to take into consideration a number of different features to find the one that is perfect for you. The first major thing you want to look into is the reservoir that comes included in every Keurig model. This is where the water to be brewed into coffee is going to be located. Reservoir capacities typically range from between 48 ounces to 60 ounces or more. Your larger Keurig coffee systems, like the Keurig K145, for example, is going to feature a much larger reservoir than the “standard” Keurig B60. 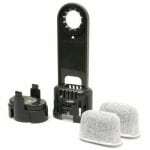 That’s because the Keurig K145 is intended to be used in an office setting, while the Keurig K45 and the B60 will fit perfectly on any kitchen counter. Secondly, you want to have a look at the cup size configuration that all Keurigs are outfitted with. 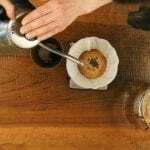 Typically, you’re going to be able to choose between 6 ounces, 8 ounces, or 10 ounces of coffee to be brewed at one time. However, some of the larger options – the Keurig K155 – are going to allow you to brew an entire carafe with the Keurig coffee pot in a single shot. 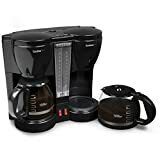 If you are looking to get a Keurig coffee maker that is going to produce only a single serving of coffee, your standard sized units are going to work perfectly. 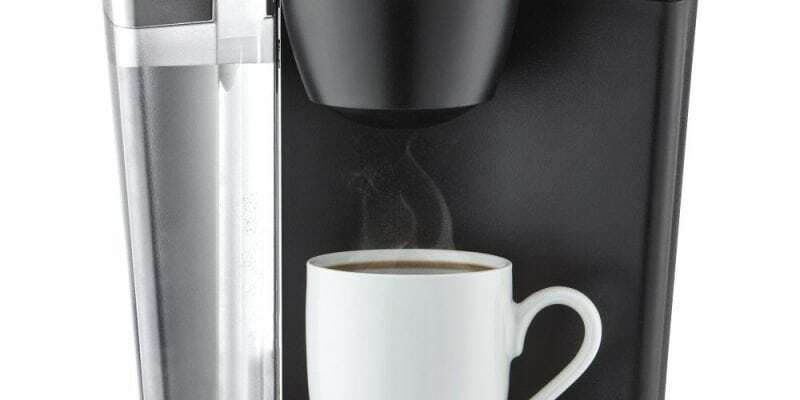 But if you want to brew an entire carafe of coffee – for yourself, for the office, or to entertain – you want to step things up to some of the larger units. Other features that are important to include are: the removable drip tray, quiet brew technology, automatic and timed brewing settings, energy-saving features, internal maintenance options, and a whole host of other big benefits that help to separate these coffee machines from the rest of the pack. The removable drip tray is going to make cleaning up much easier after too much coffee has been brewed for the container. This quiet brew technology is perfect for those that have to brew a cup of coffee in the morning way before anyone else is awake. Additionally, the automatic and timed brewing settings allow you to get your coffee ready for the morning the night before. And this guarantees that you will have a piping hot cup of coffee ready to go the second you wake up or the moment that you pop out of the shower. Energy-saving features are obviously going to have a big impact on your electricity bills. And, of course, the internal maintenance options are going to make sure that your coffee maker is always perfectly clean and in perfect working order. All you have to do is add a little bit of distilled vinegar to the tank and run it through once or twice and you’ll be good to go! The company has branched out away from the standard Keurig coffee maker that has become a household brand. The brand is now making Keurig espresso machines, Keurig coffee pots and carafes, and other accessories. These are all designed to help you better enjoy your coffee. So, figure out exactly what you’re looking for in a new coffee machine before you take the plunge. You should also highlight the key features that you need your coffee maker to have ahead of time. This is to ensure you won’t have any problems finding the perfect coffee maker for you. There’s no way that Keurig doesn’t have an ideal solution for you in their product line up already. They continue to improve upon these designs and release new machines on a regular basis. They are committed to really perfecting the single serve coffee station. You really can’t go wrong with a Keurig coffee maker. 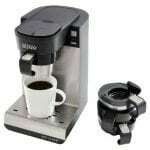 Regardless of the particular Keurig models and different size coffee machines that you choose from.